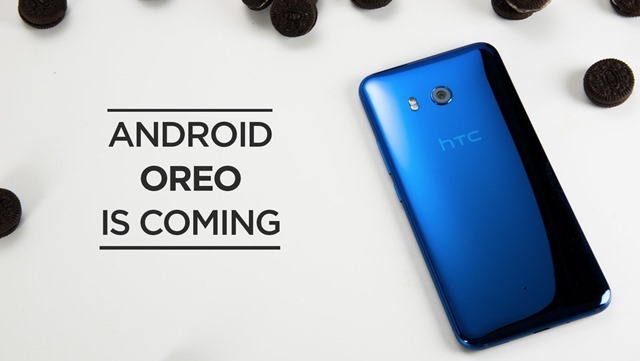 HTC has officially announced that it will be releasing the Android 8.0 Oreo Update for the HTC 10, the HTC U11 and the HTC U Ultra in the last quarter of this year. In case you missed it, Google released Android 8.0 Oreo earlier this week. In June last year, the company said it would update the HTC 10, HTC One M9 and HTC One A9 to Nougat, when Google released the sources to OEMs. Nougat was officially launched in August 2016. While the HTC 10 and the HTC One M9 got the update in November and December 2016, respectively, it was the other phone which grabbed some bad press. That's because HTC made a really unrealistic promise, where it claimed it would release the update the One A9 to Nougat, within 15 days from the announcement by Google. The update arrived much much later, in the first quarter of 2017, nearly 6-8 months after Nougat was announced. So, if you are expecting Android 8.0 Oreo for your HTC 10, U11, U Ultra, it will arrive but it could take a few months more than you anticipate.